Maybe Governor Perry feels that Texas needs a boost in its organ-harvesting sector of the economy? 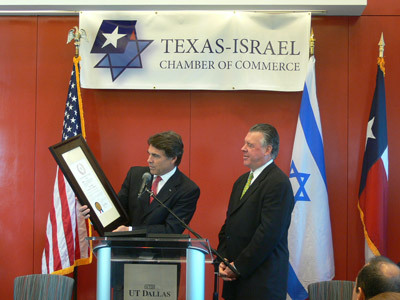 But surely Israeli companies have something else to offer Texas, right? Israelis also seem to be the cutting edge of the modern slave trade. What's next? Maybe when Jack Abramoff is out of prison he will be invited to Texas to help the state's struggling "tax evasion and ponzi-scheme" industry.